Kraken, a popular cryptocurrency exchange based in the US, is facing a lawsuit from former employee Jonathan Silverman. The former trading desk manager alleges the exchange failed to pay him promised commissions and is demanding $900,000 in compensation for the $19 million in profits its trading desk generated during his tenure at the company. 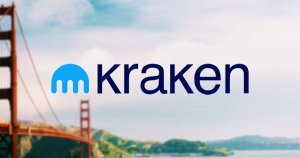 Kraken seems to be facing serious legal troubles at the start of the second quarter of the year. The exchange is being sued by a former employee who alleges that the company failed to pay him for his three-month-long tenure at its trading desk. Founded in 2011, Kraken is one of the world’s largest and oldest bitcoin exchanges with the widest selection of digital assets and national currencies. The plaintiff, Jonathan Silverman, was hired back in April 2017 to manage Kraken’s institutional sales and trading desk in New York. In the lawsuit, Silverman said that he reached an oral agreement with exchange founder Jesse Powell to receive a $150,000 salary, as well as 10 percent commission on the trading desk’s annual profit. However, he then alleges that Kraken “refused” to pay the lump sum settlement or give him promised stock options. Additionally, aside from the payment he reportedly didn’t receive, Silverman is also challenging Kraken’s statement that the exchange has been based out of New York since 2015. And while paying out a lump sum of $900,000 should be a major concern for Kraken, the exchange could face more dangerous consequences from Silverman’s second claim. Jesse Powell, the CEO and founder of Kraken, said last year that the exchange ceased offering its services to New York residents back in 2015. The claims were made after Kraken chose not to respond to a voluntary information request from New York’s Attorney General, and reiterated that it does not operate illegally in New York. Silverman was one of at least two employed at Kraken’s New York trading office at the end of 2017, Bloomberg reported. If proven true, this could spell major trouble for the exchange, as it would mean that it was operating without the state’s BitLicense. The post Crypto exchange Kraken sued by former trading desk manager for $900,000 appeared first on CryptoSlate.